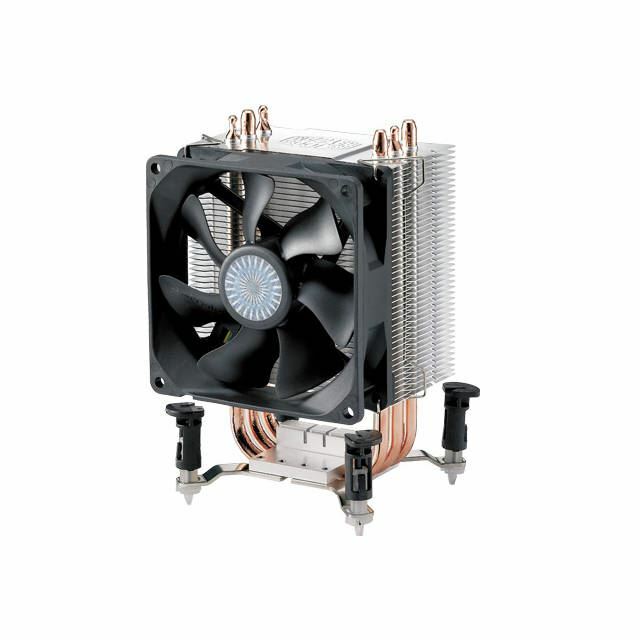 Quick overview Cooler Master's Hyper TX series has evolved with requirements of current mainstream CPUs. The introduction of Hyper TX3 marks another milestone with Cooler Master's first-ever full compatibility with Intel LGA 1156 socket. Hyper TX3 is taking basic ideas and simple design while incorporating it with most of the fine points of a decent performing cooler, such as the flexibility to switch from Intel to AMD quickly and easily, the dual fan design to attach another 92mm fan to increase the cooling power. Hyper TX3 also brings back the "original" direct contact heat-pipe design from Cooler Master.